Matt Hill is a ball of insatiable energy that reminds us all why we love life. Born and raised in British Columbia, Canada, He runs with a spirit for life and people unmatched by most. At the age of 10, Terry Fox changed Matt's life, watching him run his Marathon of Hope. This lit a fire inside Matt's heart and set him on a path asking how he could also contribute with his love of running, like his childhood hero had. This quest to inspire and contribute in the world would develop over the next 25 years while he built his athletic side, eventually completing the Ironman 8 times. And building a successful career as an actor (www.Matt-Hill.com) in films like: "Shanghai Knights" with Jackie Chan, "Raphael" in Teenage Mutant Ninja Turtles III and a struggling Vietnam Vet named "Willy" in Steven Spielberg's "Taken." Sharing his unguarded enthusiasm for life with kids, led to the next career door opening, becoming the voice behind some of the world's most popular cartoon characters. Like, "Ed" in Ed, Edd & Eddy, "Tender Heart" on the "Care Bears", Soar'in on My Little Pony and "Ton Ton" on Dream Works Netlix co-creation, "Dino Trux". All of this time, Matt never stopped running and asking "how could he give back through his love of running, people and the Planet." In 2006 on a flight to Detroit, to attend an fan animation convention - the dream to inspire a continent landed on his shoulders at 28,000 feet. His questions were finally answered. The result was: co-founding Run For One Planet with his friend and run partner, Stephanie Tait. They took their 1st steps on May 4th, 2008 and over 369 tour days ran a marathon each a day, taking 22 million steps across Canada and around the perimeter of America, running 11,000 miles, speaking to over 30,000 kids in 240 presentations, consuming 3 million calories, fueled by blueberry protein shakes and the burning desire to inspire Action for our Planet's health - "one step at a time." The tour raised over $120,000 for the R41P Legacy 4 Kids Fund. Their motto "small steps add up" was the key to every success they realized, as the journey of 11,000 miles begins with one step. Upon completion, Vancouver Mayor, Gregor Robertson declared May 8th as official "Run For One Planet Day" in the City of Vancouver. 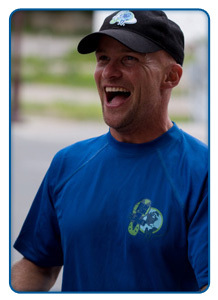 Matt now serves as Director for the Run for One Planet's Legacy. And speaks to organizations like, Lululemon, Young Leader Camps like: "Powerful Youth" and Student Leadership Conferences. Matt is honoured to continue his work as Run For One Planet's chief messenger for many years to come.